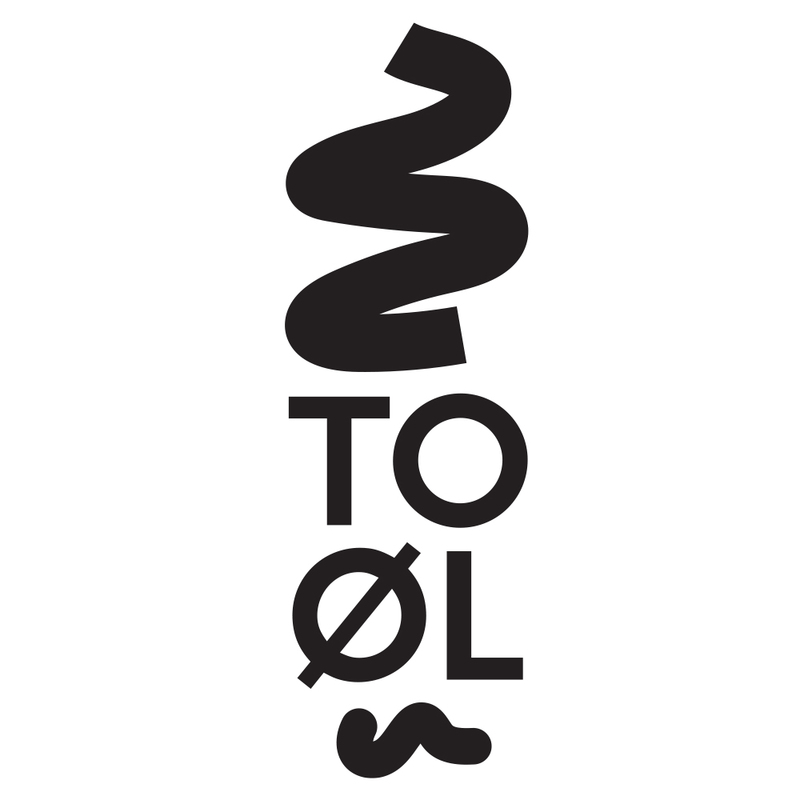 “Groundbreaking, game changing, a step ahead on the scene – To Øl is pure art. Every beer from them is a statement!” – our words from last year and we couldn’t be more right this time. Since then they raised the bets and went dangerously close to stupidly full bananas with one of their latest release. 🍌🍌🍌 We start to think that our #nevergofullcraftthing is working. 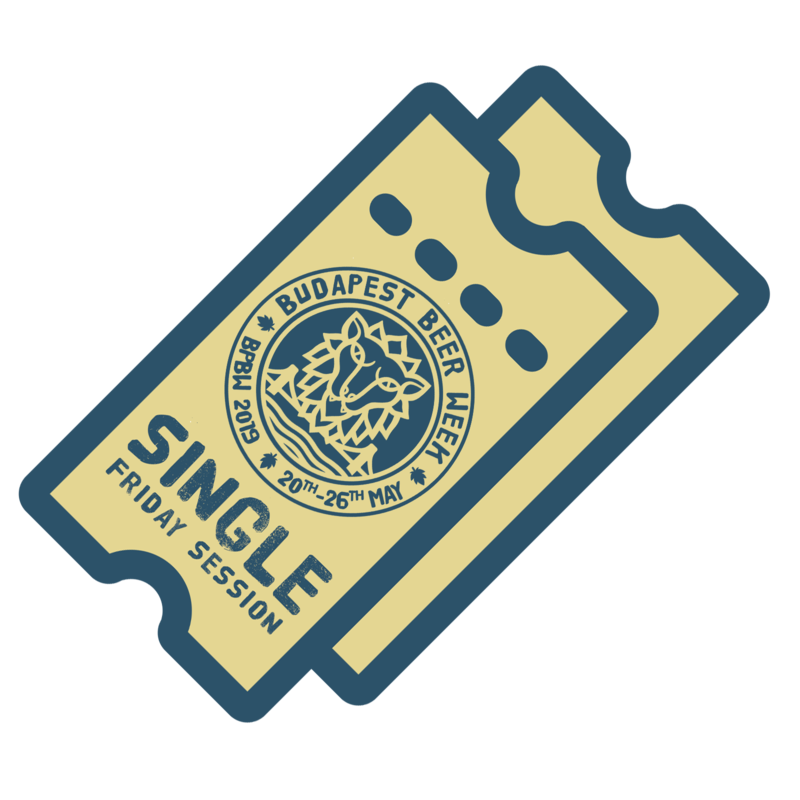 It feels so damn right to welcome them back as friends in Budapest… Come around by person to Dürer Kert, witness the magic and shake their hands by person at BPBW 2019 | Budapest Beer Week /// Tasting Sessions. Subscribe to the BPBW newsletter to make sure you don’t miss out anything… Discounts, exclusive news, vip treatment! 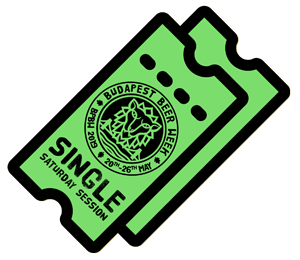 BPBW | Budapest Beer Week is an international craft beer festival in the heart of Budapest / Hungary. Tasting sessions with an all you can taste concept for a fixed price, live music events and after parties with the best underground bands and DJs of the region. A true celebration of Budapest, simple as that. 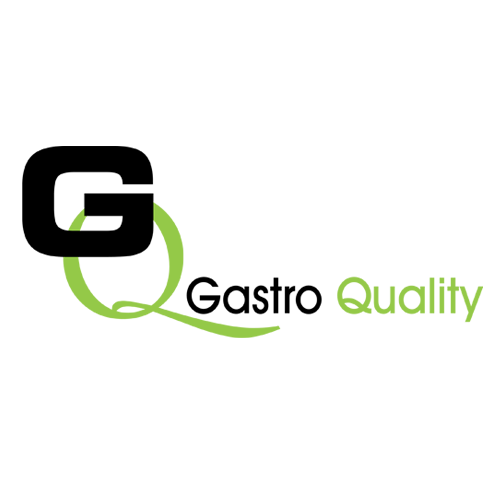 Payment on BPBW site is handled by BARION. Two 6 hours long tasting sessions (from 2pm to 8pm) with unlimited beer tasting included in the price, one on the 24th, and one on the 25th May 2019. The concept for both Friday and Saturday tasting sessions is like 2 taps for all breweries, and 1 keg for 1 tap per session. When a keg is done, the beer is gone for that session. This means you can taste 2 beers from a brewery per session, and we will have completely different beer list on Friday and Saturday. Once you check in at the festival, you will get a cute looking tasting glass. The tasting quantity is 1dl for each beer (or 0,5dl for the most exclusive ones) to make sure that you can taste as much beers as possible (of course you can taste the same beer again and again as well, if you’d like to!). Please manage to take the tasting glass – what you get at checking in on Friday – with you on Saturday too. If you loose or break your tasting glass you can buy another at our official merch desk for 1.500 HUF. Avoid the queue. Enter the sessions and start beer tasting 30 minutes earlier than everyone else. The core events will obviously be followed by huge afterparties including the wildest bands and performers from Hungary’s diverse music scene. Pure rock’n’roll, live shows, DJs, and local craft beer from 8pm at the same location as the tasting sessions – Dürer Kert, one of the best live music venues in the heart of City Park. You are invited to the Grand Opening Party on Thursday 23rd May, where you can drink, hang out and chat with all the brewers themselves and of course with us, the BPBW team. Can’t wait to meet you there! On Sunday, the 26th May 2019 an Encore session will take place at Dürer Kert, the same location as the tasting sessions. 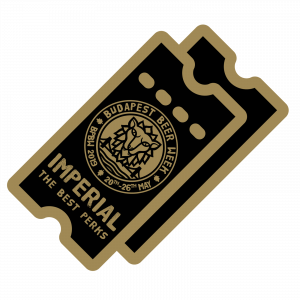 Guests can purchase tickets for just the encore session only at the doors, but no worries, with your Imperial tasting session ticket you are entitled to enter the Sunday session as well for free. Please note, that the encore session is not an all you can taste session, but with the Imperial ticket you’ll get unlimited pieces of tokens to make sure you don’t remain thirsty on Sunday. Unlike at the tasting sessions, here we do not guarantee all breweries to represent themselves in person, neither that all the beers from the tasting sessions’ list will be available. We kindly invite you to spend the whole week and enjoy the flow with us and our guests in person, particularly during our main events from the 24th Friday to the 26th Sunday. Needless to say it would be great to have you here for the whole week, as Budapest has a lot to discover beyond its beer scene. We will do our best to make you feel like you are home away from home. During the week between 20th and 26th May we will have tap-takeovers at the most impressive craft beer bars in Budapest. In addition we’re going to guide you what to do, where to go out in Budapest during weekdays too. Once you exchange your ticket to a wristband, you are eligible to grab a merchandise package whith lots of BPBW goodies in it. Let us surprise you. Grab your 10% discount at the featured venues. We will let you know on which days and where can you validate it. 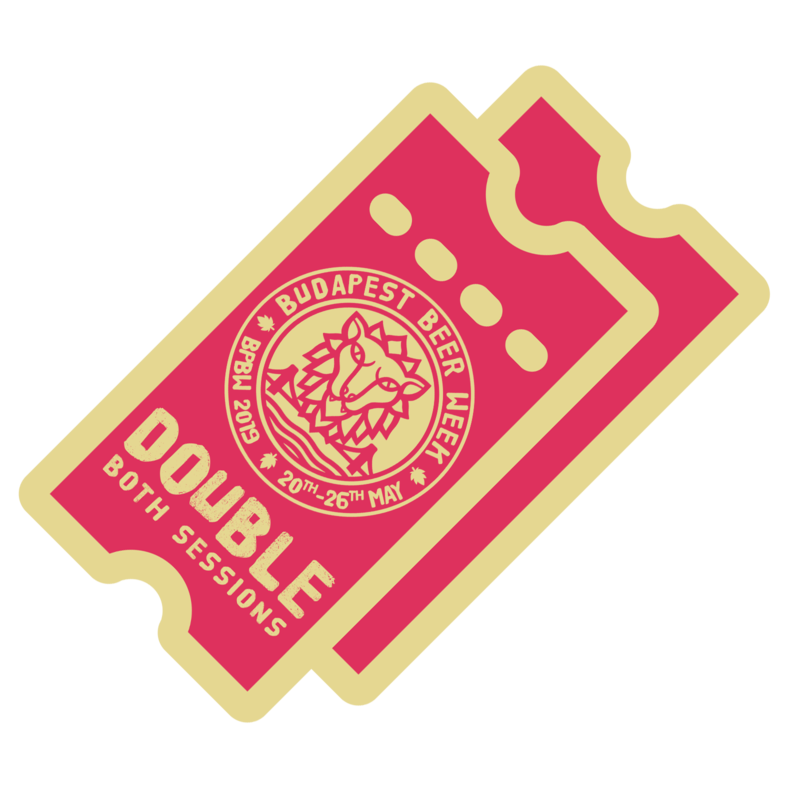 You can exchange your ticket for a wristband at the gates of the tasting sessions or at selected venues earlier the week. During the beer week just show your wristband at the cash desks of the official BPBW venues, and you will get the well deserved beer or food below the listed price. Please check back later for more information on this. 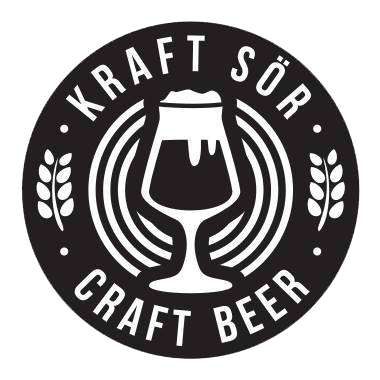 On Sunday, the 26th May 2019 an Encore session will take place at Dürer Kert, the same location as the tasting sessions. Guests can purchase tickets for just the encore session only at the doors, but no worries, with your tasting session ticket you are entitled to enter the Sunday session as well for free. Please note, that the encore session is not an all you can taste session, you must purchase tokens to drink some beers. Unlike at the tasting sessions, here we do not guarantee all breweries to represent themselves in person, neither that all the beers from the tasting sessions’ list will be available. Grab your 5% discount at the featured venues. We will let you know on which days and where can you validate it. You can exchange your ticket for a wristband at the gates of the tasting sessions or at selected venues earlier the week. During the beer week just show your wristband at the cash desks of the official BPBW venues, and you will get the well deserved beer or food below the listed price. Please check back later for more information on this. A 6 hours long tasting session (from 2pm to 8pm) with unlimited beer tasting included in the price on the 25th May 2019. Once you check in at the festival, you will get a cute looking tasting glass. The tasting quantity is 1dl for each beer (or 0,5dl for the most exclusive ones) to make sure that you can taste as much beers as possible (of course you can taste the same beer again and again as well, if you’d like to!). A 6 hours long tasting session (from 2pm to 8pm) with unlimited beer tasting included in the price on the 24th May 2019.